Since November 14, 2018 players of the new mobile game Truck Simulation 19 are busy discovering the legendary US highways. 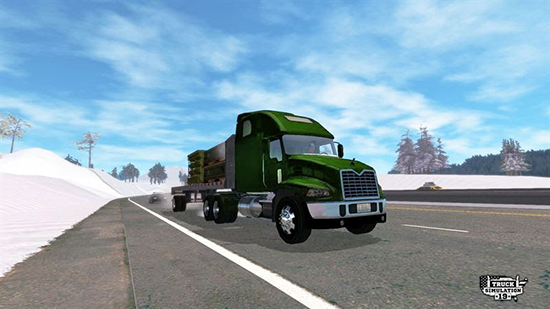 Perfect for the current season now comes the first major content update, which will see virtual truckers dress up warmly to visit new territories located in the cold North of the US to expand their company and fulfil new missions. The new Truck Simulation 19 update is available now as an automatic, free download in the Apple App Store and on Google Play. The possession of the full version of Truck Simulation 19 is required. Truck Simulation 19 is available for iPhone and iPad in the Apple App Store for €3.99 $2.99 £2.99. The game for smartphones and tablets using the Android operating system is available for free on Google Play in a version of limited content.